Do these location numbers piggyback the original map we saw? It's a shame they don't let us wander around more of Guarma during the story. I'm having fun sitting by a campfire with the guards and theres this pig just running around and hanging out by the fire, and just a little bit ago they were all trying to kill me cuz I stabbed a chicken, but its all cool now. I can't cook meat at Guarma camp, and wanna keep my weight up, so I'm stopping by the town every so often. I'm just on a hunting trip of sorts, getting all the animals and then gonna go back. Haven't seen any boas, when I remember them being all over the place in Chapter 5. Weird. Got a Fer De Lance near the big building in Aguadulces, on the inside of the wall, bit me like 5 times before I realized what was happening. Well I'll be damned. Yes, it appears that the leaked map is mostly (?) legit. I'm just seeing this for the first time. Looks like they made some pretty big changes to the eastern seaboard after this picture was taken, because the barn on Sisika doesn't line up at all. I went to see if I could find it to make sure it wasn't actually on that island next to Bluegill Marsh (?). It's definitely in M16 and not 016. I'm glad I didn't see this beforehand, because that discrepancy would've been enough for me to chalk it up to coincidence. Actually, the coordinates on the old leaked map DO line up with those on the new map. Very interesting. Except where the numbers are on that map don't match up with the same coordinate system. 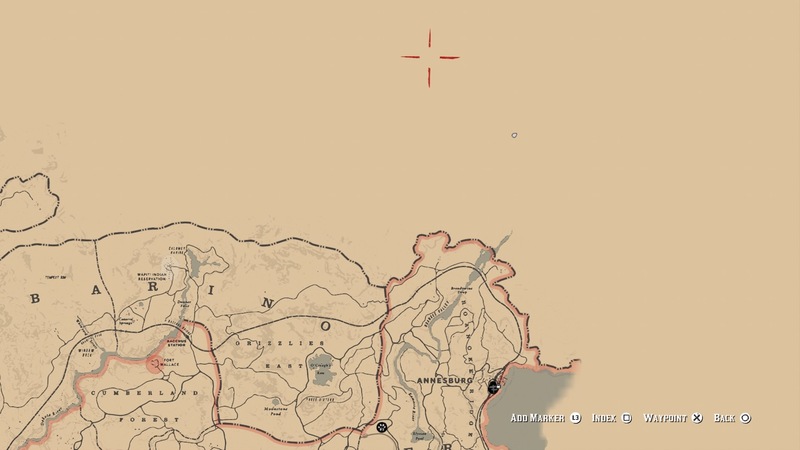 For example, the edge of Blackwater on the "Railroad Map of the United States" map is around number 16 or 17 and the coordinates on the GTABase.com map linked above shows it at Coordinate 8. That map only shows areas with train tracks, it's literally a train map and It's missing huge sections of the game map. The leaked map is the one that throws doubt on the whole affair. I was exploring outside of the map for the 1st time today and came across this patch of land north of Roanoke Ridge. Could the area in the background be the North Grizzlies or possibly even Canada? In one of my videos i rowed all the way down that river to the sea. The land turns to snowy peaks, so it could well be North Griz/Canada. So this is a new way to get to Guarma I haven't seen yet... It gets interesting around the 57 minute mark. I only now just noticed that Emerald has a closed down general store! What? I didn't know the guy that first posted it was here too 😆 did you had any progress on it? 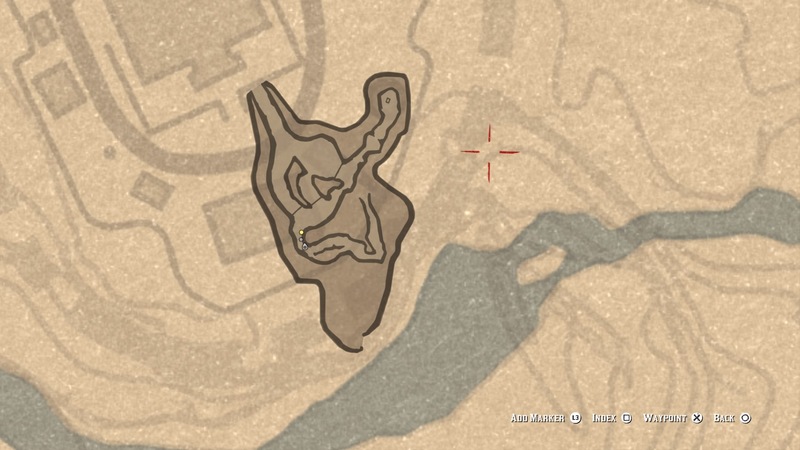 About the general store, sometimes I get frustrated that some places like this, the one on Annesburg, the doctor and hotel on Rhodes... are locked and can't be used, same goes for barbers, only 3 across the entire map? really? Is this online only or something? Or is it now randomly open in single player? What? I didn't know the guy that first ﻿poste﻿d it was here too 😆 did you had ﻿any progres﻿s on it? About the general store, sometimes﻿ I ﻿get frustrated that some place﻿s like this, the one on Annesburg, the doctor and hotel on Rhodes... are locked and can't be used, same goes for barbers, only 3 acro﻿ss the entire﻿ map? really? Yeah, a lot of places feel like they were planned to be full towns then rolled back to only glorified multi-mission spots or one place-of-interest. 99% of the time I go to Emerald it's for the Fence. Strawberry is AAAAALMOST a normal town, if it only had a place to get some grub and a gunshop. 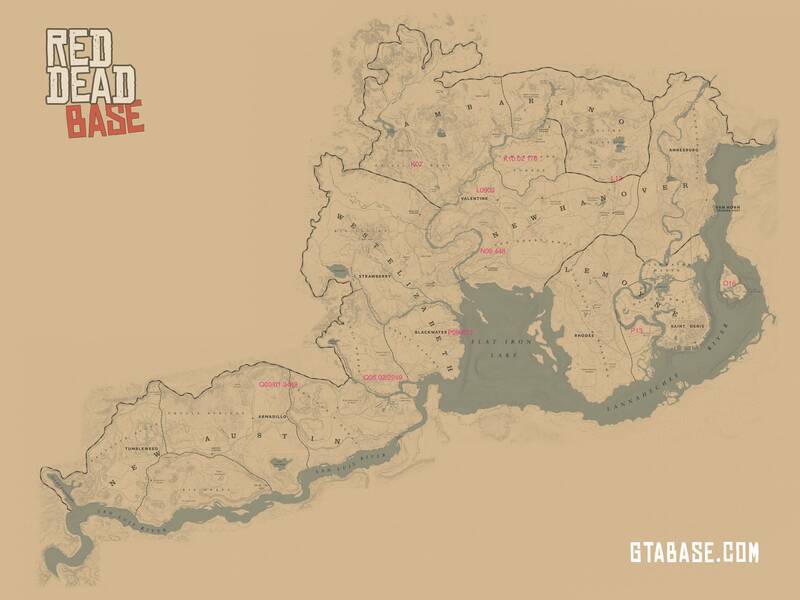 Then you have Annesburg which has a gunshop yet nothing else, aside from the strange business partnership with the next door "hotel"
The locations might not be a specific spot to create an grid point at it. It could be location within a grid of land. Once the PC version comes out, someone can crack open all those loading screens to peel off the coordinates, then find a grid that encompasses all points to their labels. I also want to see someone extract all the maps in the game. I've screenshots of at least half-a-dozen different maps on walls. Has anyone tried to get a complete game menu map with all the labels and sketches on it? Not the blank one used in all the web maps. WOW! Sadly not surprised. It's weird to make a whole island with a police system and only use it for essentially one mission... and you don't even go inside! 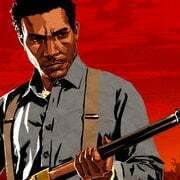 How about this idea... aside from the rumor the Gang starting in New Austin, had the Blackwater Camp, maybe a first further west in the desert when they collected gang members (so you can actually get to know these other friends who die off camera before the game starts) ...what if the break John out of Prison mission was more involved? Maybe John was IN the prison? Maybe there was a point when Arthur gets tossed in the Prison and has to break out. They'd be pretty exciting... maybe the balloon was brought into help the escape? This is good speculation. I think the Prison break mission was originally meant to be stealth, and then they scrapped it for the loud and all guns a'blazing approuch. Or like the Pacific Standard Bank or some warehouses, they're for Online content yet to come? Yeah, I think this was made for the John rescue mission, we could have a mission were we locate John and study the place first (the baloon one) and then another one were we break inside the prision to save John and escape using this route. Is that Riverboat used for anything online yet? What's interesting is it's not a boat but technically a building. It's axis-aligned instead of some organic angle in the river and toggled on-off in single player when needed for that one mission. There's a lot of interiors not loaded in singleplayer when a mission isn't active, yet they seem to always be on in the Online version. Strange choices influenced by performance! Maybe single player has higher sign off requirements for Sony and Microsoft? Also, I was in Guarma the other day and noticed the tunnel Arthur travels through with Dutch has caved-in blockers and jail bar blockers. The map continues up to the center building... suggesting it opens into the basement of it. Have you tried getting into that building or popping through the bars? John escape mission was probably alot more complicated. How did you swim for so long? 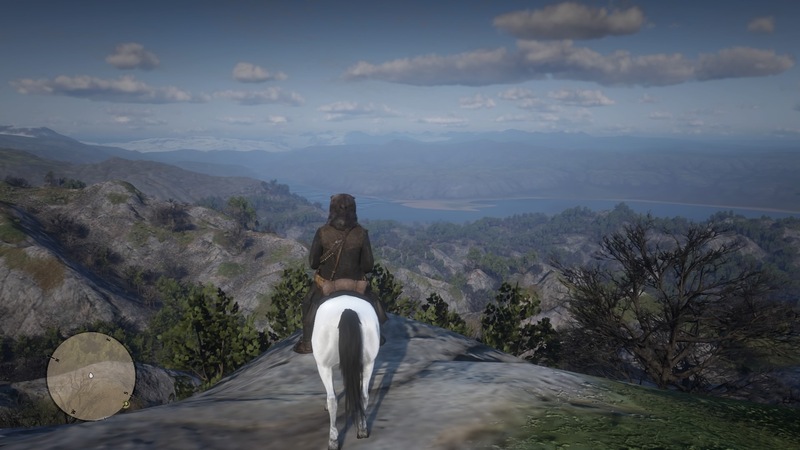 In RD Online your character can swim for a much longer distance than Arthur.